*The exhaustive list is safe somewhere else, lest in the future I forget my misery and think it's a good idea to repeat this process. 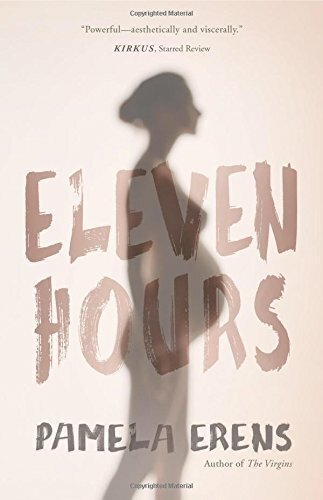 Eleven Hours: A stirring, powerful novel about one woman's birth over an 11-hour period. The friendship she cultivates with her nurse grows in intensity as the the moment of delivery draws closer. Probably not great to read if you are nearing delivery, however, as complications do arise for the protagonist. 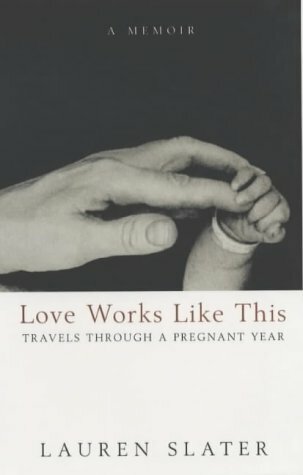 Love Works Like This: Travels Through A Pregnant Year: A memoir of psychologist Lauren Slater's experience during pregnancy and early parenthood. She writes about things that other people won't or don't. For example: "Motherhood's biggest taboo may not be rage but mildness. Mother love must be intense. I am not intense. I feel a great guilt. So far, it is only my guilt that makes me a mother" (142). 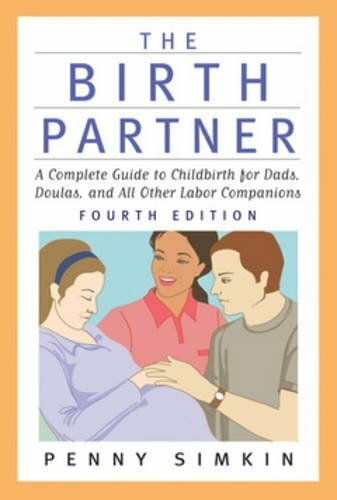 The Birth Partner: Our doula gave us this book to help Jacob prepare to help me through the birth. It's not just for the partner, though; the explanation of the birth process was very informative and unbiased. Mindful Birthing: This is a combination mindfulness/birthing book, also recommended by our doula. I mostly skipped the part about mindfulness, though some of the specific applications to labor and delivery were useful. 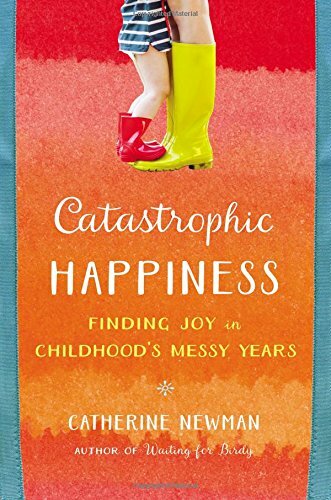 Catastrophic Happiness: The follow-up book to Waiting for Birdy by Catherine Newman, this book was also amusing and full of self-deprecating humor. 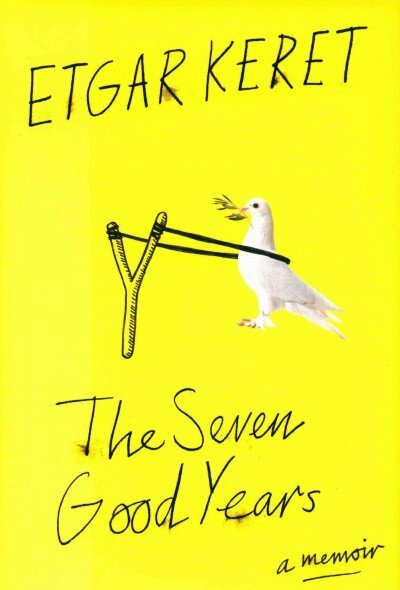 The kids are older in this book, so it didn't feel quite as relevant, but it was a worthwhile read nonetheless. The Baby Name Wizard Book: A very useful resource written by the creator of the Baby Name Wizard website and blog. My favorite part was the list of likely siblings for each name, data generated census records. 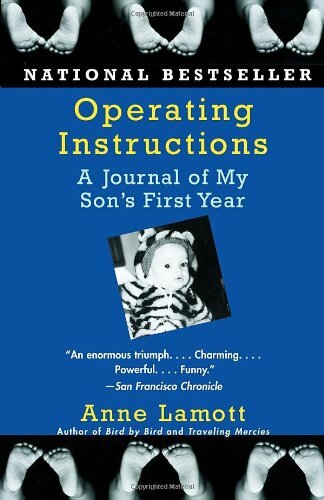 Operating Instructions: Anne Lamott's memoir of raising her son, by herself, over the first year of his life. So good! You can click the image to purchase the book directly from Amazon. A small portion of the sale helps to support this blog! I didn't end up finishing any of these, so it's entirely possible they improved significantly after the first chapter or two ... let me know! First Bite: The author interview on Fresh Air was great! But the book had me bored with detailed accounts of scientific studies. Our Babies, Ourselves: An interesting, albeit dry, take on pediatric anthropology. I really wanted to like it, but it put me to sleep. Perfect Madness: Motherhood in the Age of Anxiety: I started getting more anxious about the challenges of balancing everything, so I promptly put it down and eventually returned it to the library. After Birth: I thought this was going to be an interesting novel about motherhood, but it turned out that was not the case. I read the free sample a while ago, so unfortunately I don't even remember why I didn't like it. Bee Wilson, author of First Bite, on Fresh Air: An enlightening take on the power parents have to shape their children's food preferences and habits. Only Human episode on Prenatal Testing: How the development of prenatal tests empowers parents to make (sometimes controversial) choices. Episode 2, Attachment Parenting, of the new podcast Science Vs.: I'm about halfway through the episode, and am so grateful for all of the dispelling of attachment-related myths. When it comes to offspring, it can be hard to figure out what's backed by evidence and what isn't, but so far this podcast seems adept at doing just that. Episode 57, Milk Wanted, of Reply All: A fascinating tale of the history and context of breast milk, and why it is so hard for those who need it to get it. The Accidental Gay Parents on The Longest Shortest Time: This is the first of four episodes with these parents. Such a compelling story about what it means to parent ... I dare you not to cry! Also on LST, Terry Gross on Not Having Kids: I could seriously listen to Terry Gross talk all day, so this rare glimpse into her personal life was fascinating. Episode 103 of Totally Mommy on Birthing in a Volvo: Elizabeth recounts the story of giving birth to her second child--in a car! As you most certainly know if you're reading this, I quit my teaching job last spring to return to graduate school full time. I started a doctoral program in Special Education in August with the goal of helping teachers become even better at their jobs so that they could make even more of a difference in the lives of their students. I wasn't sure what that would look like, but I felt certain it was something that not only could I do, but that it was something would have a lasting impact. After one semester in school, I wasn't thrilled with what I was learning, but I remained cautiously hopeful. I was encouraged to take as many statistics courses as possible so that I would be more marketable. To whom? To someone who would then want me to do statistics as part of my job! Ack! It began to dawn on me that a vision of my future self sitting a desk doing statistics was not a pleasant vision. Likewise for reading fMRI studies about toddler brains. As the second semester progressed, it became more and more clear to me that my classes had little to no connection to what I wanted to do after graduation (in four or more years). Had I felt that this material would better prepare me for what was to come, I would have been able to see the purpose of the struggle. But to push onward, knowing that I wasn't learning the skills I would need, felt futile. So, I stopped. I'm done. I'm free! What am I doing now? Blogging, for one! I have about twelve books that need to be written about, and I'm going to try to write more regularly. But my other big venture is my little writing business that I've been slowly plodding away at for a little over a year now. I've set up a new website just for that; it's not completely finished (but when is anything completely finished anyway? ), but please check out Annie's Writing Cave! So far, I am marketing myself as a writing and academic support specialist. I hope, eventually, that I can work with schools to improve their writing programs. For now, I'm concentrating on two parts of the business: 1) working with students individually on homework, organization, research papers, and college essays; and 2) providing resources for students and teachers. I have a number of YouTube videos from my teaching days that are sitting idle, as well as numerous rubrics, quizzes, PowerPoints, etc. In the coming weeks, I'm going to continue to learn HTML so that I can spruce up my website and make it just the way I want it. I'm working on becoming an Amazon Affiliate so that if you purchase a book I recommend, I make a tiny little bit of money. I've set up accounting software--much better than just having a list of tutoring clients and dates on the notes app! Business cards are on the way, too! Lest this seem like a seamless transition, I should note that I had been agonizing over this decision for weeks. I did not want to disappoint the people I had been working for, and I didn't want to let down my professors. When someone reframed the possibility of quitting as a courageous choice to do what was right for me (rather than as "dropping out," as I had been thinking of it), I realized it was normal and okay to feel trepidation before quitting something, especially something I'd worked so hard to make happen. Now that I have moved on, I am certain I made the right decision. It feels so good to be doing something that I truly love doing. Everything feels a little brighter and a little easier. As it is for most things, it was for this, too: my thirtieth birthday anxiety greatly exceeded the perils of the day itself. The anticipatory anxiety was for naught. (Though, when does worry actually prevent the ominous from occurring? Alas, never.) Then again, I wasn't nervous so much about the actual day as about the internal and external shifts I believed should take place naturally. Would I make these shifts in the way that I felt I should? The day came and went, and it was a sweet one. But nothing really changed. I felt no sudden mature urges to take out the trash, fold the laundry, plan meals, bathe the dog, or send birthday cards on time. I do feel some need to find meaning outside of making my own life comfortable. I used to find meaning in my daily work, and at the end of each day I knew that I had worked hard and helped others because I was mentally and emotionally exhausted. To do my job effectively, I forced my introverted self to pretend to be an extrovert. Now, I spend most days mostly alone, reading articles, writing papers, and getting frustrated with statistics, and I know I’m not contributing in the same way I used to. Perhaps, some day, will, children make my life feel more full of meaning? 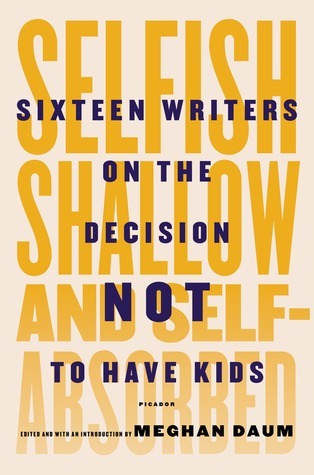 I have always thought I would have kids, but just to be certain I really did want them—and was not just doing what I thought I should or what people would expect—I read Meghan Daum’s anthology, Selfish, Shallow, and Self-Absorbed: Sixteen Writers on the Decision Not to Have Kids. I poured over the book, captivated by the life stories of these writers and mesmerized by the certainty they felt about their decisions. Yet I was undeterred, and still want kids. What else feels meaningful? Reading emotionally laden and psychologically rich novels like Elena Ferrante’s My Brilliant Friend. Planning ahead to make a satisfying meal full of nutrients. Hanging out with friends' babies. Going out for a fun meal with family—and watching the family scarf down sardines! I’m hoping I have decades left, but there’s no way to know, right? 21 days remain until the big day. This is frightening. How did it happen? I know, logically, that thirty is not that old. I also know that birthdays are simply arbitrary astronomical markers. And I know numerous people who are older than thirty. They all seem to have crossed the threshold into "true" adulthood without too much tumult. I had in mind that I would, once and for all, quit procrastinating (because if it's just fear, then why not get over it? ), plan meals in advance, send birthday cards to arrive on or even before the recipient's birthday, and otherwise not get stressed about silly things. I did purchase a beautiful planner, but otherwise I have made only minor improvements in the other areas. Gotta save some goals for forty, right? I don't have all the things figured out that I'd like to have figured out by now. I wish I thought this was exhilarating and liberating--to not know what is to come, to be open to grand new adventures--but I simply do not. I wish I had a stronger vision of what I'd like the next five or ten years to hold. I wish I knew what I would like to do when I finish graduate school this time. For as much effort and time as I put forth to make this happen, I would expect myself to know what to do when it is all over in who knows how many years. Instead, I am left wondering, with some trepidation, about the purpose and applicability of the four statistics classes I will have taken by the time I reach the end of this program. Now that we are reasonably settled, in other words, we live in a house that has space for another human being, the decision of when seems to be rather imposing--on my mind, and also on my career. The sheer existence of this decision (the when, not the whether) totally changes how I see myself and my purpose. Do I define myself by what I do, or by my relationships? Probably both, as well as a number of other things, is the reasonable answer. If I can't figure out the answers to the monumental life decisions, I can, surprisingly, figure out how to at least seem more adult-ish. For now, I'm thinking that all this uncertainty explains the late summer home improvement frenzy of 2015. After & Before, respectively. I constructed two of the shelves featured in the left photo and ditched the toys Schroeder no longer (or never) enjoyed. If it doesn't bring him joy, it doesn't stay! 2. Purchased and partially built (our handyman fixed the wobbling) a towel shelf. The shelf, prior to my immensely frustrating attempt to turn it into a stable piece of furniture. 3. Cooked chicken saltimbocca in the crockpot. You don't want the recipe. It was not that good. 4. Created a photo collage over our bed. For the first post in this series, check out My Next Decade. As part of my I'm-Almost-Thirty-Kick, I decided I would plan ahead (WOAH) and make something relatively healthy for dinner that would last us for a few days. Since this was Sunday night and we were just about out of fresh ingredients, I settled on something egg-related. I love the flexibility of eggs. It is possible to combine them with just about anything and produce something relatively edible. So, I decided to pursue the adventure that baking a quiche, and before I knew it, I had found not one, but two, recipes. (Who am I? I never do this!) One for the gluten-free crust, and one for the quiche innards. Not that I actually followed the latter all that closely, but it's progress. I pre-baked the crust at 425F for 15 minutes. Of course, ideally, I would create the egg situation while the crust was pre-baking, but OH PLEASE, that is not, and never will be, possible. Most recipes, I feel, are arrogant; they act as if it's no big deal to chop obscure vegetables and braise some expensive rodent meat while the electric mixer churns 3 flours that grocery stores don't sell with organic eggs and a homegrown herb or two. I don't have seven hands and two brains! On another recipe note, I feel that most recipe layouts, on a scale of readability and design, rank somewhere between mediocre and abysmal. What I would like to see is, at the top, an overview of the cooking methods and tips for how to work efficiently, followed by a list of directions (and possibly accompanying pictures, a la Blue Apron), with the ingredients AND amounts of said ingredients. Why do cookbooks resist the bullet point? Maybe I am extra sensitive to layout and font because for the past two years I have created assignments and written instructions for students with learning disabilities? Regardless, recipes should be friendlier; they should want you to make them! Also, I think that minimal commentary in the recipe itself is best. Otherwise, I will skim the recipe (because either I or the husband is hungry and wants to eat this food!) to avoid the excessive instructions and inevitably not perform some crucial step, like, for example, when I threw green beans into the pan without cutting off the ends. Who knew? But back to the quiche--there was some extra time for the crust to cool down while I finished making the veggie and egg concoction for the middle. The whole ordeal took approximately 75 minutes, though of course I did not time it. I have two disclaimers: The original crust recipe would have made two crusts, so I halved most of the ingredients because I only needed one crust. Who needs two crusts? I took care to write out the new amounts so that I would not unintentionally use double the amount I really needed. However, not so accidentally, I used twice as much salt as recommended. I didn't bother halving it, even though I halved all the other ingredients. I figured it's just salt ... so the crust was salty. I also used some peppers from a Blue Apron meal, and I have no idea what they actually are. Nevertheless, I was so pleased! 2) Add 1/3 cup of coconut oil and mix. 3) Add one egg and mix. 4) Add up to 1/3 cup of water slowly. 5) Roll out the crust on parchment paper, then flop it into the pie pan. 6) Bake at 425F for 15 minutes. Second, sauté the vegetables and add any desired meat. I used Applegate Farms turkey sausage. 1) Chop two full-size peppers or one full-size pepper and two mini ones. 2) Throw into a pan with some olive oil. 3) Chop a zucchini and add it to the pan. 4) Add meat into the pan as desired. Third, concoct the egg mixture and then combine everything. 2) Pour the veggie and meat mixture into the crust. 3) Pour the egg concoction on top of everything else. 4) Bake for 30 minutes at 375F.